Jewelry made of gold vermeil is less expensive than solid gold but higher in quality than gold-plated pieces. To create vermeil, sterling silver is covered in a layer of gold that's at least 10 karats and 1.5 microns thick. To the naked eye, vermeil looks like pure gold. It can be polished for a glossy look or left to tarnish for a hint of vintage style, which makes it a versatile addition to your jewelry collection. 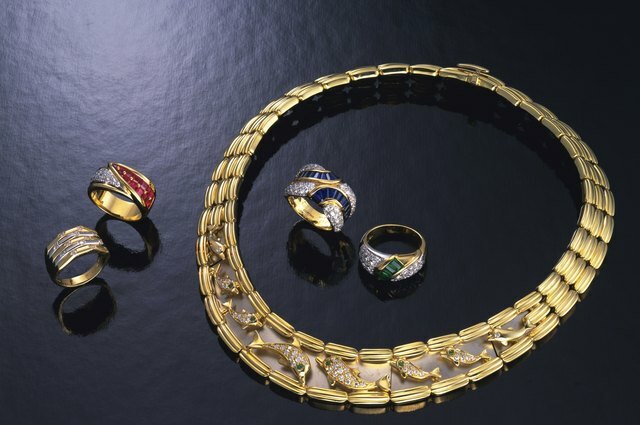 Although vermeil jewelry typically costs less than pieces made from pure gold, it is more expensive than gold-plated pieces. That's because its coating of the precious metal is 50 times thicker. 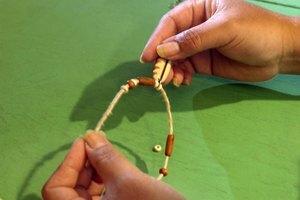 In addition, plated jewelry often features a core of cheaper copper, rather than silver. Clean gold vermeil by gently wiping it with a soft cotton or microfiber cloth. Do not treat it with chemical products, as they may remove the gold. Over time, gold vermeil typically becomes tarnished and covered in darkened patches, but a jeweler can restore its original appearance, if you like. Store gold vermeil in an airtight container or a lined jewelry box, and never swim in a pool or take a shower shower while wearing it. 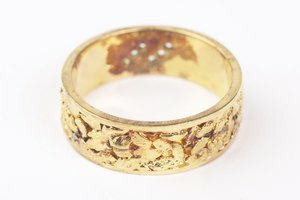 Jewelry Info Place: What is Gold? 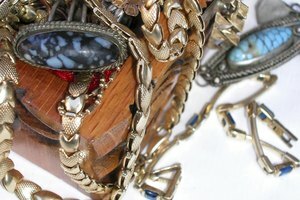 How Do I Clean Brighton Jewelry?